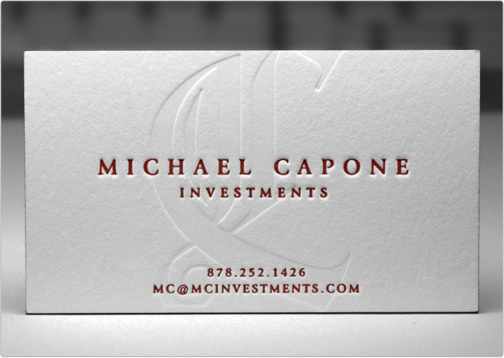 The Michael Capone cotton card is prestigious and sophisticated. It features a watermark deboss for the last initial as well as red edges. 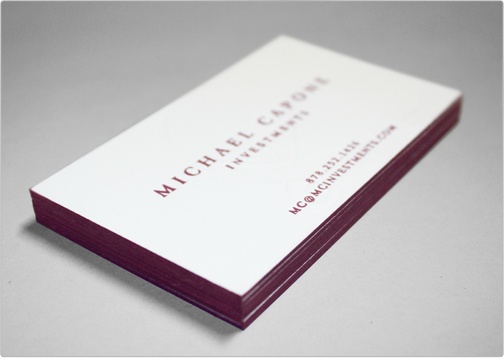 Specs: standard cut white cotton bc/ 1 ink 1 side/ blind deboss 1 side/ painted edges.